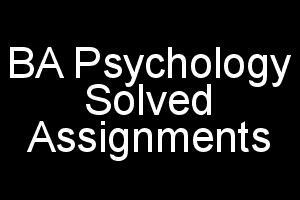 From this page you can download BA Psychology Solved Assignments For IGNOU 2017-18 Session. These Assignments are for those who have taken admission in July 2017 admission cycle or January 2018 admission cycle. Click on the course title or course code to download the assignment. If you are facing any problem comment below i will reply as soon as possible.